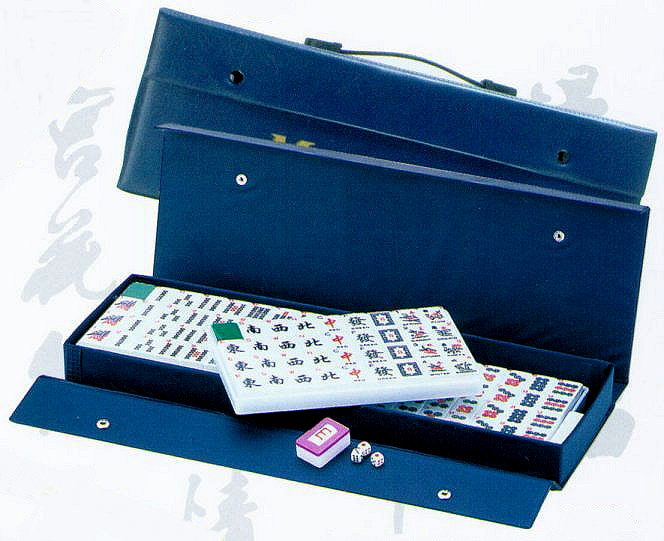 Get started playing the ancient game of Maj Jong, with our good looking Chinese style Mah Jong set. The set features a durable vinyl snap close case with carrying handle that holds the jumbo sized tiles. The set includes 144 durable Polystone resin jumbo white and green tiles plus two blanks, dice bettor, and instruction booklet. Get ready for endless hours of fun play for the entire family at a very affordable price. The dimensions of this set are: 19.5 x 7 x 2 inches.